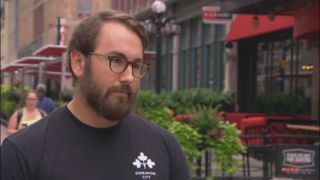 With every new release that Russell Brewing is making these days, they are showing that this is not the old Russell Brewing that we have seen and possibly consumed in the past. 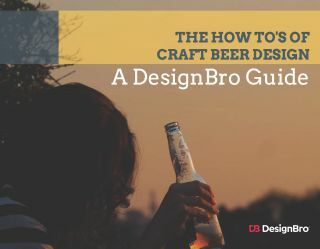 While they still may brew the core products that we remember- their “staples” like Angry Scotch Ale, or Blood Alley ESB, those are limited to 650 ml bottles, with the majority of their new releases or seasonals in fun and colourfully illustrated 355 or 473ml cans. 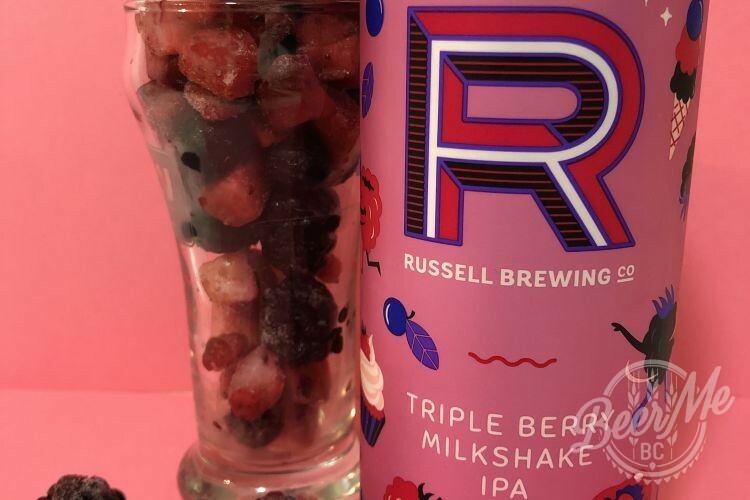 With just the opening of the can of this Triple Berry Milkshake IPA,you are overwhelmed by the aromas of blueberry, blackberry and raspberry. 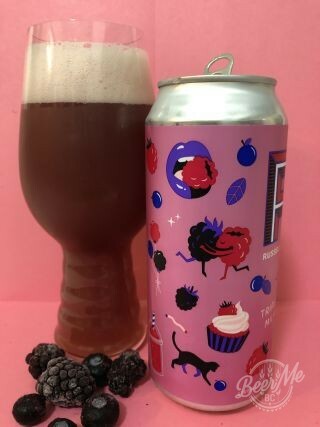 It pours a rich dark raspberry with a pink foamy head that dissipates quickly, but the fruitiness of this beer just continues on with every sip. This beer is sweetened with lactose which gives a “milkshake” taste but also adds a nice creaminess to the body. But, what is nice about this one, is that due to the choice of tart, yet juicy fruit, this beer is far from being overly sweet . The tarness of the berries, and a hint of bitterness from the hops-(It is an IPA after all!) balances the sweetness making for an easily drinkable, yet refeshing beer. This milkshake IPA is great on its own but would make for a fun ice cream soda or served along with a nice variety of milk and dark chocolate! 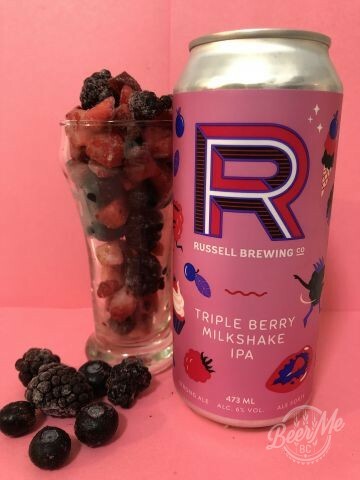 A milkshake IPA full of blueberries, blackberries and raspberries back sweetened with lactose. 190kg of raspberries, 250kg of blackberries and 250kg of blueberries, that’s a lot of berries!